The OSS movement, which originated from a pragmatic need to share code among individuals, has grown to become a major force behind inter-organizational reuse of platforms, components and code. The use of open source software to build single or family of systems (i.e., product line development) appears to be a profitable way to quality software products. On the other hand, because of the diverse use of open source software, product line development is an attractive way of working in open source communities. 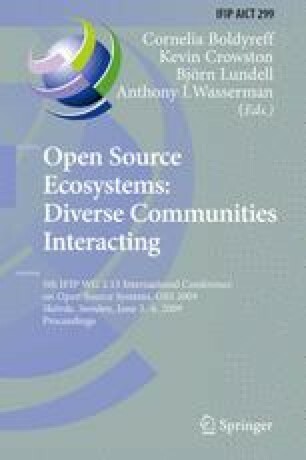 The configuration mechanisms used in open source communities may be applicable within software product lines variability management. In addition, product line organizations are usually involved in distributed development, which works very efficiently within open source communities, leading to high quality products. However, at present, there is limited interaction between the open source and product line development communities.